Want to share your thoughts on the Doctor Who story we’re reviewing WHILE we’re reviewing it? You can! Send us a mini review of 250 words or less before we record our review and we'll read it out loud on the show! Extra, extra, read all about it! 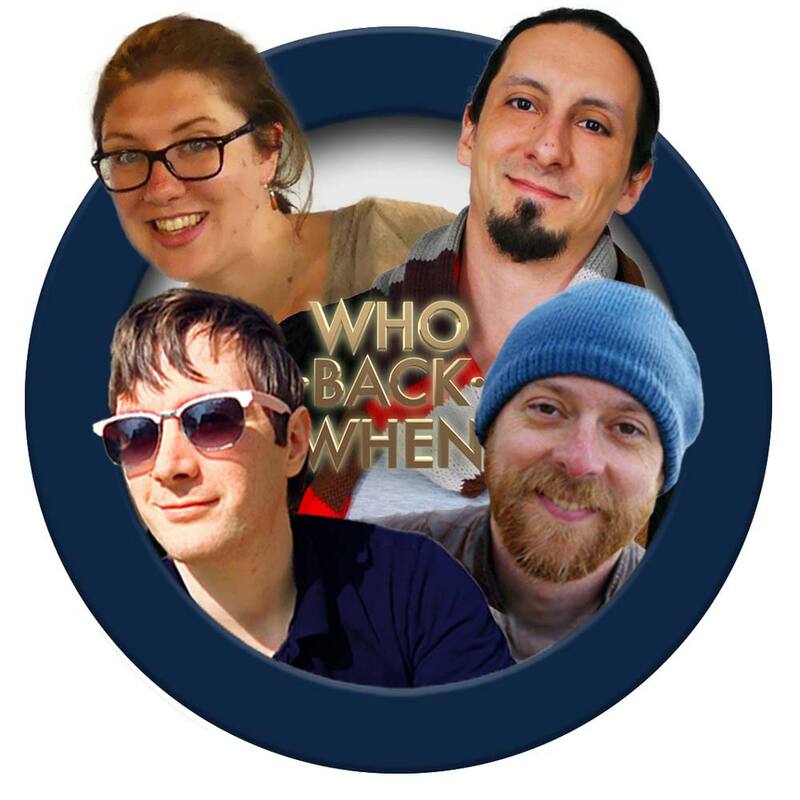 Who Back When has a blog, too, with some pretty crafty, clever and downright awesome correspondents reporting on the latest and greatest in the Whoniverse. For anything from Book Reviews and Latest News to essays of Whoniversal splendour, this is were to look. The Visual Index (aka Vindex) grows each time we encounter an alien, creature, robot, spectre, an actual person or people from Earth's history, or a new companion, ally or *dum-dum-duuuum* nemesis. There are hundreds of Doctor Who TV stories out there and we intend to watch them all! Not just that – We'll watch, review, discuss, debate, rate and praise and/or poke holes in every episode of Doctor Who, starting with William Hartnell's first ever serial. That's right, we're working our way through Classic Who, from 1963 and onward, episode by episode and Doctor by Doctor. We're about four Doctors in so far. And in parallel, we're also reviewing all of New Who as well, starting with Eccleston in 2005. We're reviewing Matt Smith's episodes as the Eleventh Doctor at the mo. We occasionally dip a toe in more current NewWho, too, as well as review the odd audiobook, comic book and convention. Prefer a particular style of Doctor Who adventure? Would you take an Angel over a Zarbi, or a Monoid over a Raxacoricofallapatorian? Or do you prefer to take in The Doctor with your ear-balls? Pick your favourite and browse our podcast by channel! Pick a Doctor below and see where we've encountered them in on our podcasting journey so far! We're super grateful for all of the kind words our listeners have had to say about Who Back When. Everyone loves a compliment and we're no exception. And every new review that pops up on iTunes not only helps get the podcast noticed, but lets us know we're not just speaking into the emptiness of space. We're always talking about new ways to thank you for your reviews. Here are some ways we've said thanks in the past. 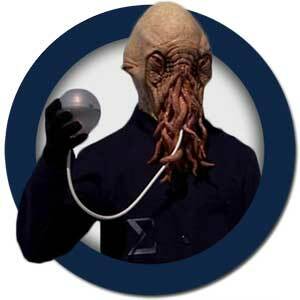 "If you are a Doctor Who fan, you must listen to this podcast! Awesome reviews, trivia and much more. Witty, funny and incredibly entertaining!" "I absolutely love this podcast, and it is the only one I listen to regularly... This podcast makes the horrible episodes (Web Planet) bearable, and the great ones even better." "The hosts are fun to listen to and are kind enough to read out any comments or reviews we listeners send in, adding a community sense to the whole thing. Definitely a recommended listen to all Who fans, old or new!" "These guys are genuinely fun AND funny – they take you along on a magic carpet ride of irreverent reviews that are guaranteed to make your smile widen and your [CENSORED] harden." "The podcast has become an essential part of my Doctor Who experience, and I look forward to the next podcast episode just as much as the next episode of the show. Can't recommend it highly enough." "This podcast is very well done! As a student who doesn't have a lot of time it is fun to listen to the podcast in between classes and almost feel like you watched an episode of the Doctor!" 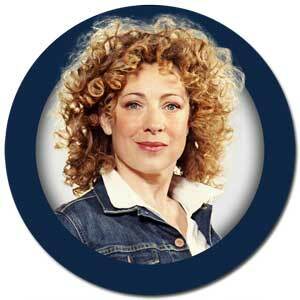 "This [Doctor Who podcasts] is a lot of fun, especially because of the wit and enthusiasm that the hosts display... Even though die-hard fans might take umbrage at their favorite show being poked at, at least it is done out of love and respect for this icon of U.K. Science Fiction." "Very good reviews, quite funny in parts, serious in others, and now diversifying into other non classic shows... can't wait for the next episode." "This show is fantastic, it is wonderful, it is great... The daunting task of watching every single episode from way back when, 1963. Pity these boys, their love will send them down the rout of Dr. Who insanity, and we get to watch every single step of the way. Cheers boys." "I recommend this podcast for every Doctor Who fan who started watching with the 2005 reboot and now discovers the old stuff. Lots of information, which episodes to watch und which to avoid..."
"Cracking reviews of every Who story from the beginning. Telling it like it is, the Good, the Bad, and everything in between, and beyond. Great stuff." 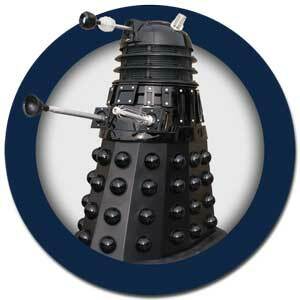 "It is one of the best, if not the very best Doctor Who podcast out there. It is funny, sincere and informative... If you were interested in watching or learning about Classic Who, please listen to this podcast." "From the very beginning, these podcasters have been engaging, funny and brilliant in their assessment of each tasty morsel of Who, be it a bite sized bit or a large, greasy mouthful... Why aren't you listening already???!!!" Quick, there's no time to waste! Let your friends, acquaintances, relatives, fellow travellers, arch-nemeses, employees, blood brothers, lovers, significant others, better halves, deputees, partners in crime, clones and/or on-board computer AIs know what they're missing. Post your approval of Who Back When on your social networking wall of choice!